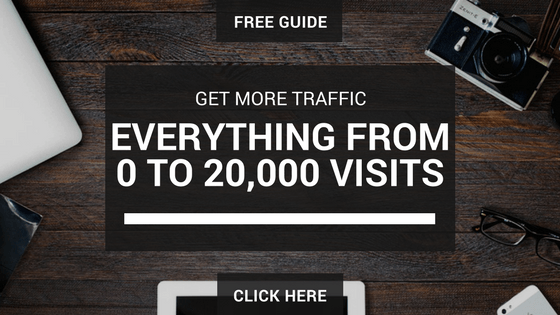 Do You Want To Drive More Traffic To Your Site Using Google+? Google+ usage isn't as common as Facebook's, but, not using it a total waste! There are many studies showing that Google+ is one of the best ways to improve your content's SEO as well as improving your social presence. After all, most of the big brands use Google+ allowing you to connect with very influential people. ​When it comes to social media, the quality of the engagement is very important. A few thousand active followers are much better than a ton of silent ones. But, Google+ is different, it goes against this principle. On Google+, the more followers you have the better! In this case, the more followers you have the better your website ranks, this is odd right? 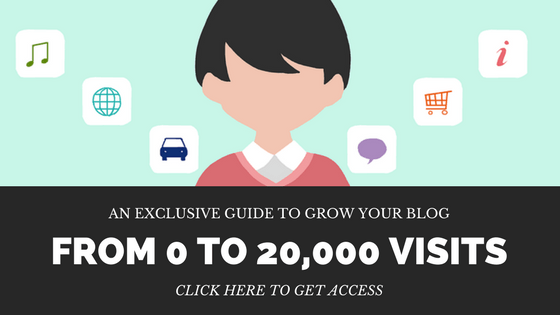 In addition to having a big following, you will want to post frequently, that way you can naturally share your blog posts or new pages you add to your website. This is mainly because Google+ posts can be found in search results alongside articles. Another cool thing is that people can now see recommendations from their connections right in their Google search results, which is something I find pretty cool, it is very similar to tumblr's. If you post frequently it will provide the social proof that customers are often seeking and can drastically change your conversions. Seeing that people like them have purchased your product, makes them far more likely to also purchase it, a great example of this is the Amazon review system, the more positive reviews the better you feel about purchasing something, correct? After all, there is that social proof that proves that it is good and won't be a waste of money. First of all, you want to post pictures and videos on your wall to add a variety to your sharing and increase interactions on your page (comments, +1 and shares). 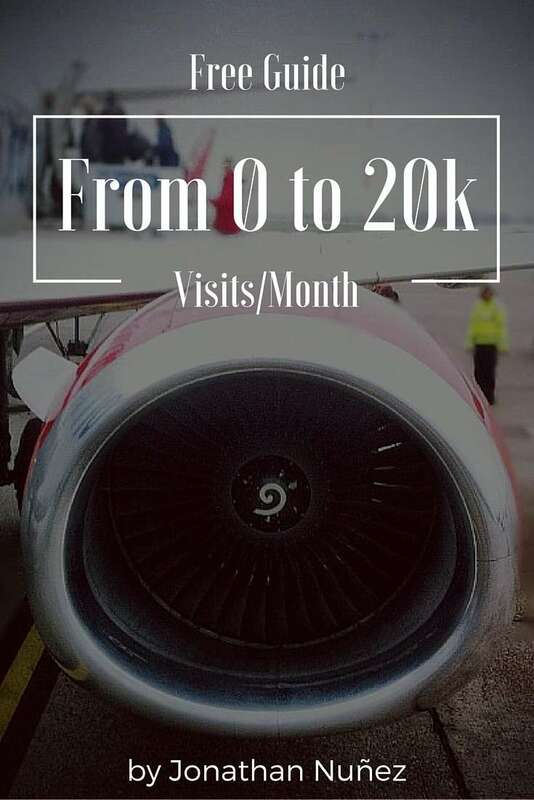 Second of all, you want to upload pictures and videos to your profile because, again, it will improve your Google search engine ranking and help new prospects find you. PRO Tip: When adding new videos and pictures to your profile make sure to add important and relevant keyword phrases to the "alt" tag to further improve your Google rankings. Take the time each week to engage on Google+ by commenting on other people's posts, I usually spend 15 minutes each day on commenting on very engaging posts. Additionally, look for popular conversations happening and jump in. When you leave a comment on a popular post or when you +1 a conversation, you expose yourself to more people (sounds creepy but yeah). This is important if you want to build traffic and trust to your Google+ page. If you haven't already created one, now is the time. To get started, you will want to visit the brand's page on Google+. 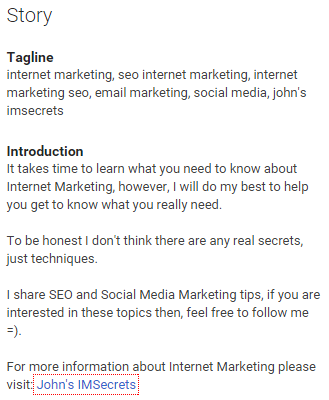 The neat thing about connecting with fans via your Google+ business page is that you can follow them back and add them to your circles. This allows you to sort them and share content by relevancy, by doing this you only target people interested in that piece of content as the opposite of broadcasting it which shares it with everyone. 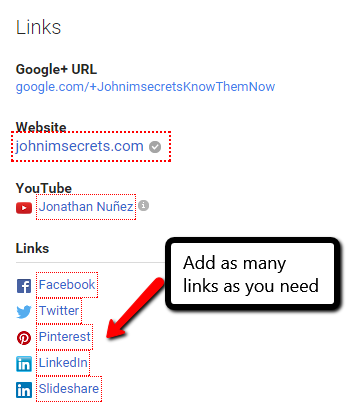 ​Google+ allows you to add clickable links to your business page profile (your links will be no-follow). Whenever you can, send prospects to a specific page, not just your home page. This helps you guide their experience and show them the content they want immediately. PRO TIP: Be SURE to put a clickable link in your introduction section. ​In both your personal profile and your business page, be sure to add important keyword phrases to the "about" section. It is vital that you have a good sense of knowledge of the keyword phrases people in your niche are using to find you. You can find keyword phrases that are highly searched by users with Google's free AdWords search tool. When you add a Business page to your personal profile, you can include hover text to further explain your business to prospects. They will be making a split-second decision as to whether or not they will click through. You can increase your click through rate with a clear tagline. Authorship is a system that will show author information in search results. The idea behind it is to help users discover great content. For you, as an entrepreneur and business owner, it allows you to let people know about the articles and blogs and such that you've written. If you want your authorship information to appear in search results for your content, then you must have your own Google Profile, and a close up headshot as your profile picture. Next, you will need to verify authorship. You can do it by linking your content to your Google+ profile using a verified email address. However, be aware that Google doesn't guarantee to show author information in Google Searches or Google News results. Hosting regular Google+ hangouts is important because it furthers the relationship you are building with your prospects by engaging with them and it can create repeat customers. I mean, who wouldn't want customers to come back over and over again, right? It is also a great way to generate ideas and to quickly find out what your niche REALLY wants. If you've never attended a hangout before or want to get involved in the ones that have already been started check out this site for current hangouts. Start implementing these tips, come back and share how it goes! So, are you using Google+ for your business? Here’s another platform that I have not be utilizing correctly, or enough. I am just under 1k followers, pretty low. Maybe it’s just me, but it seems harder to build a following on G+ compared to Twitter. With Twitter there just seems to be more of a follow mentality, while G+, it’s not as important. Or I just don’t get it enough yet. I’ve done most of what you’ve suggested, except for engaging, think that is my big lacking. That and I need to post more. 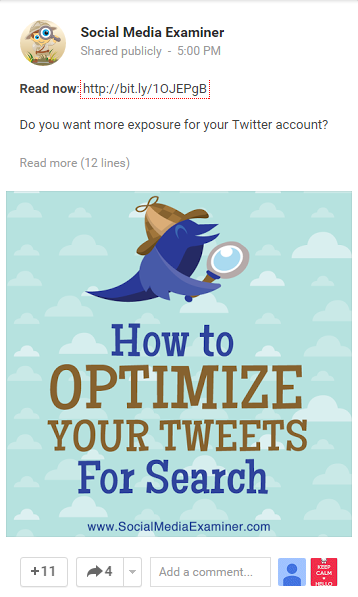 As I mentioned in your social post, i plan to use Hootsuite, so that should help me with G+ as well. G+ is somewhat unique, in this case, the more followers you have, the better. This is due to the fact that G+ rewards you with better rankings the more followers you have. A great way to get more followers is utilizing Circloscope, it helps you get more targeted followers and completely manage your account. I’ve been using Hootsuite for a while now and it really helps manage accounts and go into “listening mode”. That way you can get into conversations at the right time. Enter your first name and email address in the form below to continue.